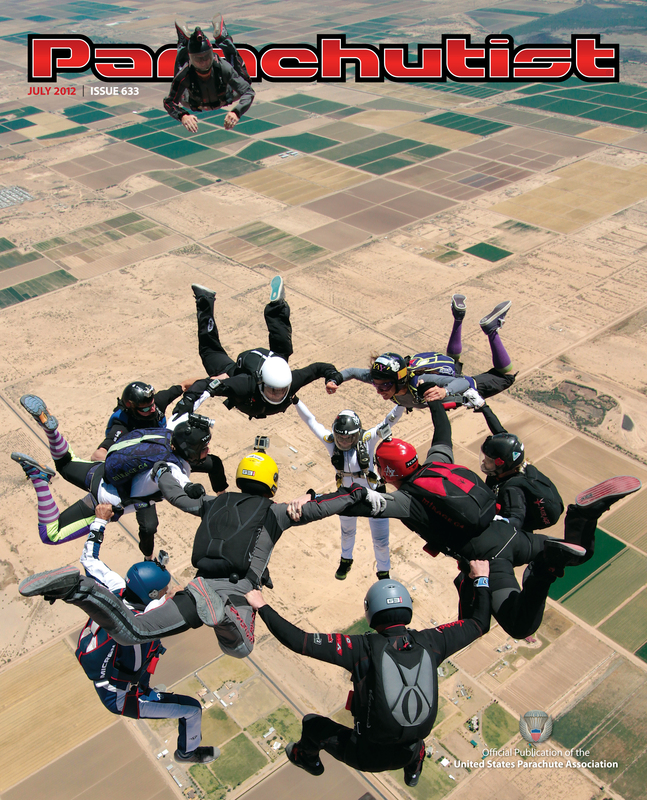 I would like to thank USPA‘s Parachutist for utilizing one of my resent photographs for the July 2012 cover spot. The image depicts a hybrid flying over Skydive Arizona while Arizona Arsenal‘s Steve Curtis lurks above. This entry was posted in Arizona Arsenal, Boogies, Events, Freefly, Photography, Publications, Skydive Arizona, Skydiving, Stunts, USPA Parachutist, Vertical Formation Skydiving (VFS) by niklasdaniel. Bookmark the permalink.